Winter tends to be a time for hibernation and relative inactivity, but not for Dana Paul, builder of the spectacular new single-family home coming to fruition at 1427 Scenic Street in Lakewood. 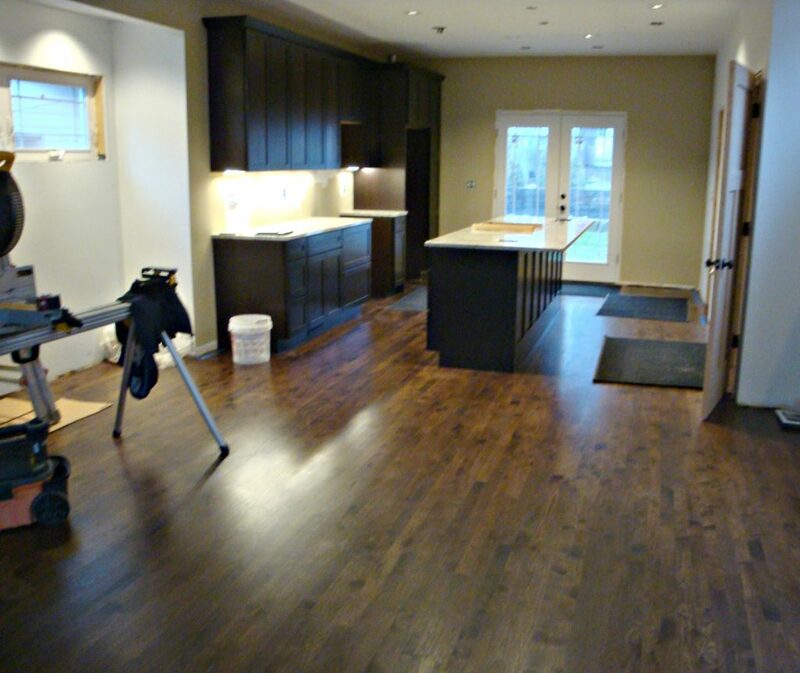 Builder Dana Paul discusses progress with the kitchen at 1427 Scenic Street. 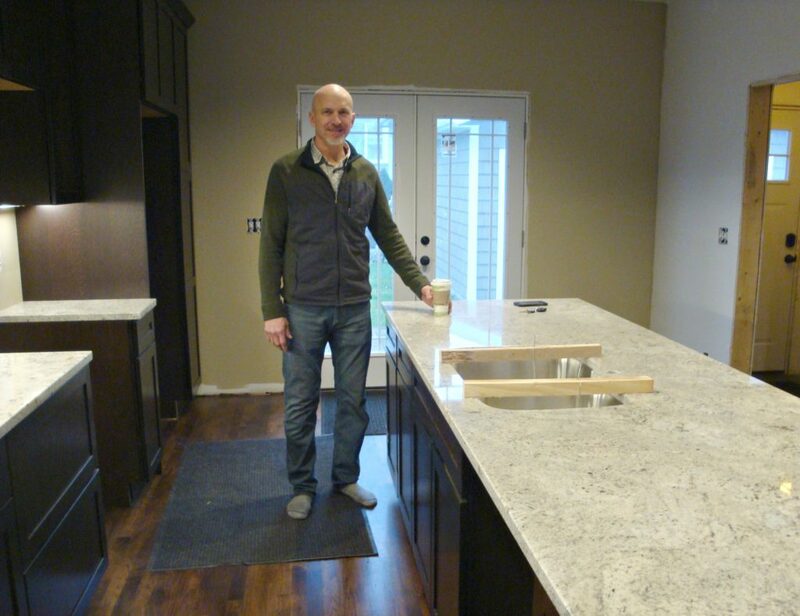 Paul, a Lakewood resident and owner of Prairie Stone Group, the company spearheading this building project, has spent much of the last two months making strides towards bringing the 1,425 square foot home closer to occupant-ready. Of late his meticulous efforts have focused on the home’s kitchen, two-and-a-half bathrooms and exterior landscaping. Once an antique brown stain had dried upon the downstairs level’s character hickory hardwood flooring, Paul installed kitchen cabinets featuring crown caps and quarter-sawn oak with a tight grain pattern. These details complement granite countertops and a 9-foot-long island that blends the spacious kitchen with an open-concept downstairs layout. Meanwhile, on the upstairs level Paul equipped both full bathrooms with heated flooring. 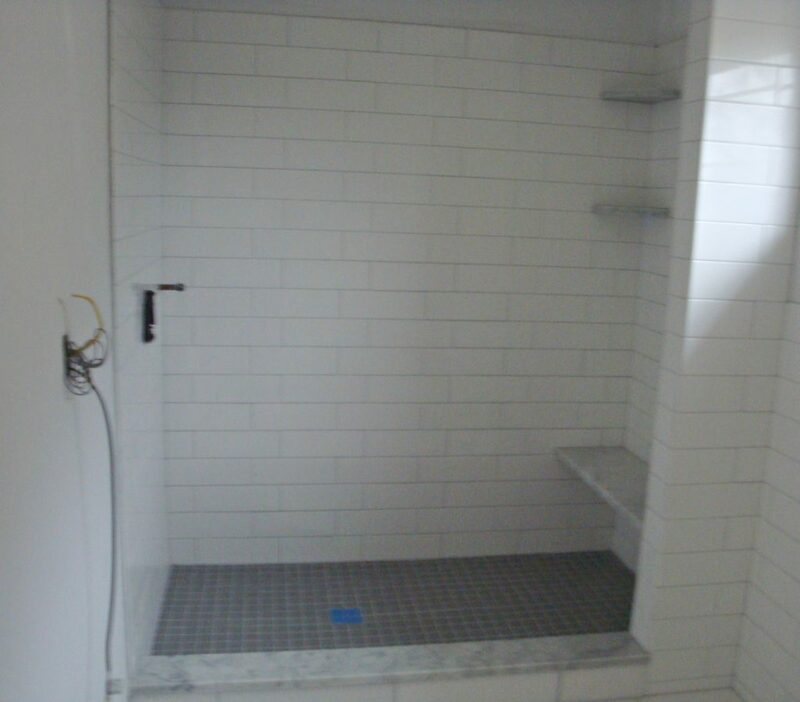 The master bedroom in the back of the house features an en suite bathroom with marble tile floor and a sizable, walk-in shower. The two levels are integrated by a large, six-panel window above the staircase offering both ample natural light and impressive views of the Rocky River Valley. 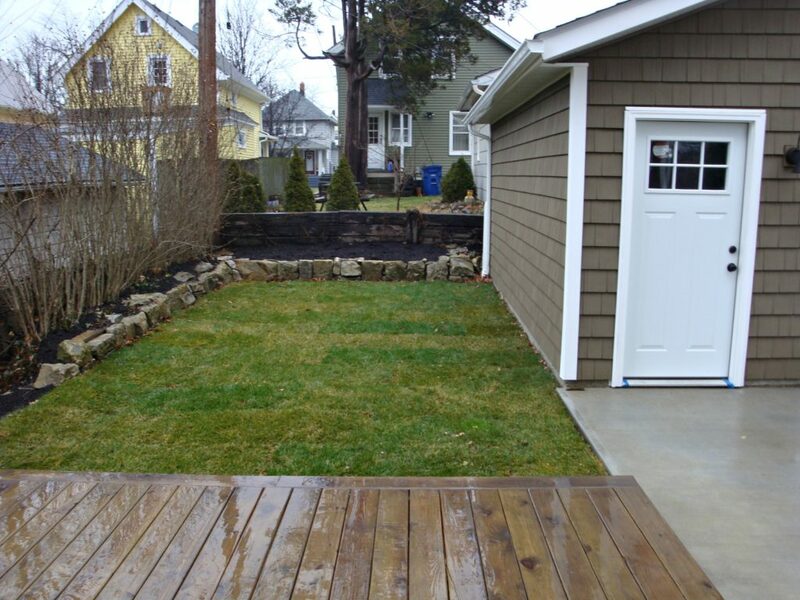 With the cooperation of mild winter weather, exterior landscaping has been finalized. With cooperation from mild winter weather, Paul and his wife, Heidi, also recently set about finalizing the home’s exterior landscaping. They planted natural grasses, holly and a seven-foot ornamental tree in the front yard, while Paul laid sod within the backyard framed by a rock border. “Rolling sod is pretty gratifying because it creates instant green amidst the grey of winter,” Paul said. Paul’s next steps involve installing fixtures in the kitchen and bathrooms, as well as “trimming out” by adding trim around doors, windows and flooring throughout the three-bedroom house. 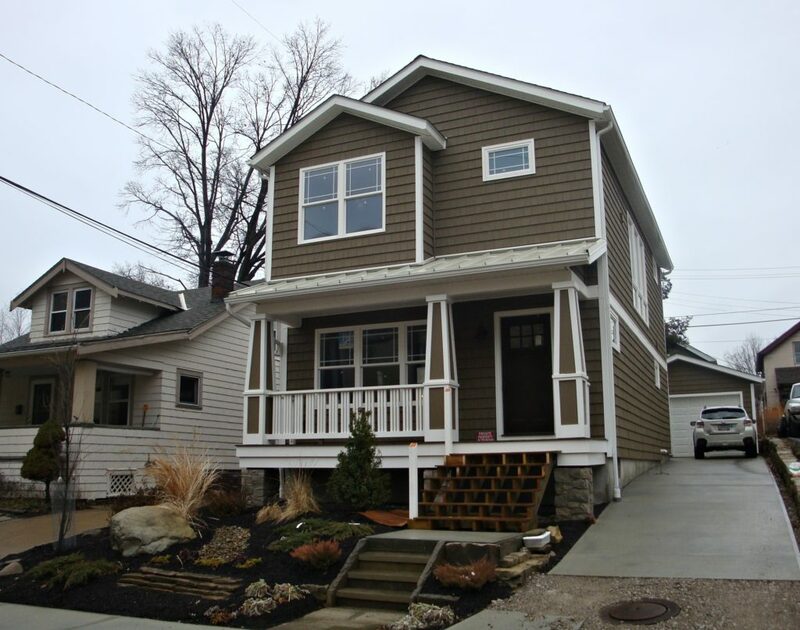 The Scenic Park House Project remains on track to be completed this spring. Check back frequently for continued updates.